Walking through Denver’s neighborhoods in alphabetical order, we see how the 1965 Great Denver Flood impacts different neighborhoods. In Bear Valley, the flood came through right as the neighborhood started. With split level homes throughout this hilly ‘burb, it seems like everyone was trying to get as far away from Bear Creek, which runs on the neighborhood’s south end, as they could. Here’s my write-up of our 3.5 mile amble on our Bear Valley Urban Hiking adventure. Bear Valley’s boundaries don’t quite make a rectangle, as it intermingles with Lakewood on its west side. 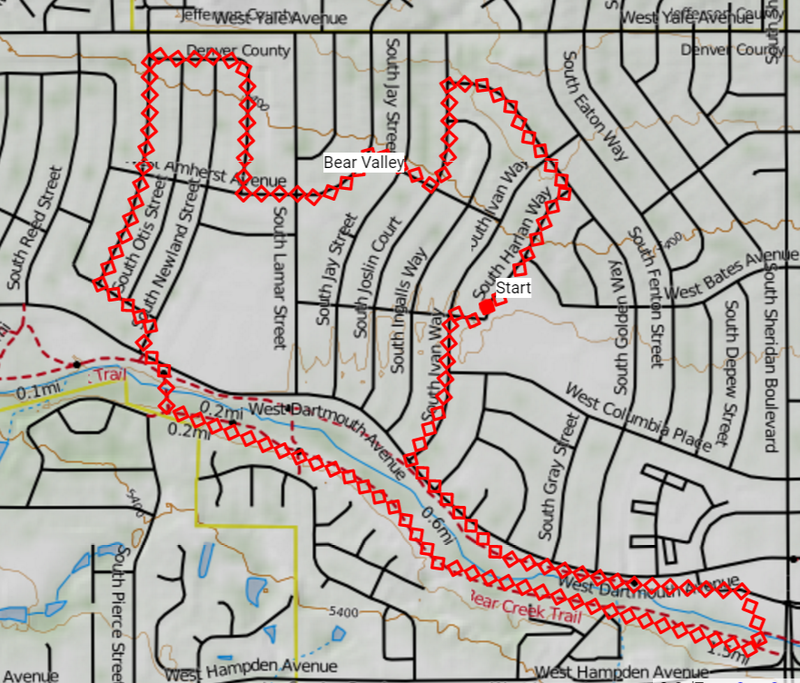 None the less, the neighborhood’s borders are approximately Yale, Sheriden, Hampden and Bear Creek. 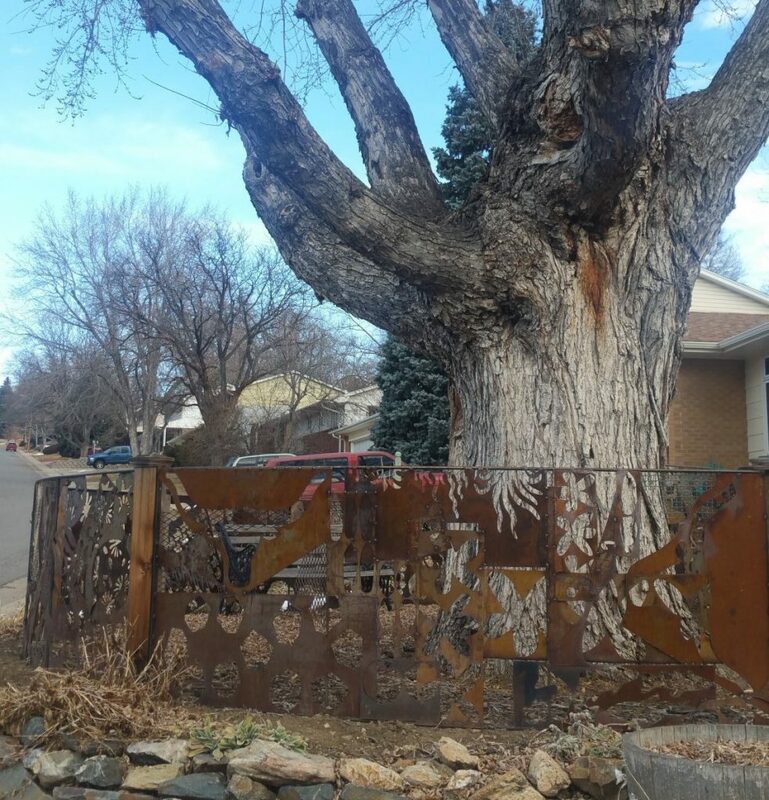 Rising up from Bear Creek to the north sits this late 1960s neighborhood full of split-level homes, Ford trucks, and an occasional artsy flair. The Bear Creek runs along the south side of the neighborhood, making its way northwesterly to the Bear Creek Reservoir. The Bear Creek Trail makes a wonderful getaway to either Morrison on its west end or Englewood on its east end. 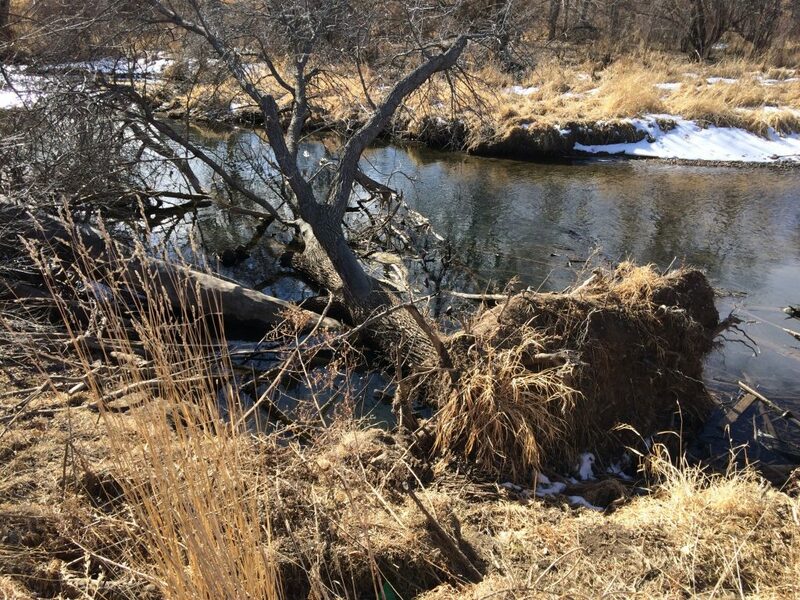 We saw many locals and their dogs enjoying an amble, and we witnessed some federal contractors cleaning out fallen trees from the Creek’s banks. Although not a very descriptive neighborhood, it has friendly neighbors, a suite of schools, and inviting sidewalks. Interesting to note is that their high school, John F Kennedy, was one of the first high schools to implement mandatory, desegregated busing between Lincoln High and Kennedy in 1975. The school also has the only marine biology program in Denver Public Schools. If you want a solid, hilly, urban hike through an inviting neighborhood with a nice jaunt along the creek, enjoy this 3.5 mile route through the neighborhood, past the schools, and beside the creek. This 3.5 mile route starts at 2898 S Harlan Way. This is a residence. Park along the street. The Bart Hobart Park is across the street, and where you’ll start walking. Head up the hill along the sidewalk through the park to the top of the hill along Harlan Way. Turn left on South Golden Way. Walk two blocks, turn left on South Joslin Court. Turn right on West Amherst Avenue. Take a left on South Knoxville Way, which turns back into West Amherst Way. At South Marshall Street, take a right, and then at the top of the hill, take a left on West Linvale Place. Along the way, notice the various artwork in people’s front yards. Some is subtle, and some is fun. 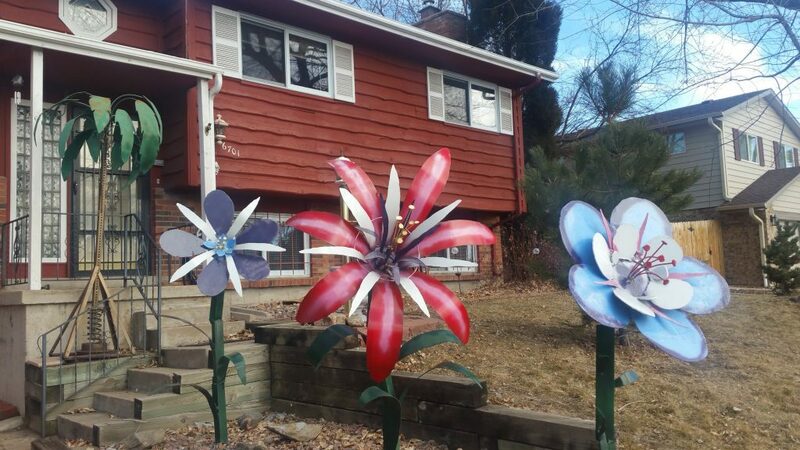 Notice the three large metal flowers on Linvale right before you turn left on South Pierce Street. Continue down Pierce and take a left at the bottom of the hill onto West Cornell Street. Go two blocks and take a right on South Newland Street. Cross West Dartmouth, and take the bridge across Bear Creek, catching the Bear Creek Trail. Follow the Bear Creek Trail to the left, or east, for about a mile. If you don’t want to walk that far, take the first bridge across the Creek. Or, continue all the way to Sheridan, crossing the Creek north right before Sheridan. Work your way back west through the WalMart parking lot (which is scheduled to close as of 1/31/17), to West Dartmouth. You’ll see the Bear Creek Trail on your left, paralleling the Creek from whence you came. Continue westerly along the north side of the Creek to South Ivan Way. Cross Dartmouth and take Ivan north. Pass the school, take a right on West Bates Avenue, and then a left onto S Harlan Way, where you will return to the start.